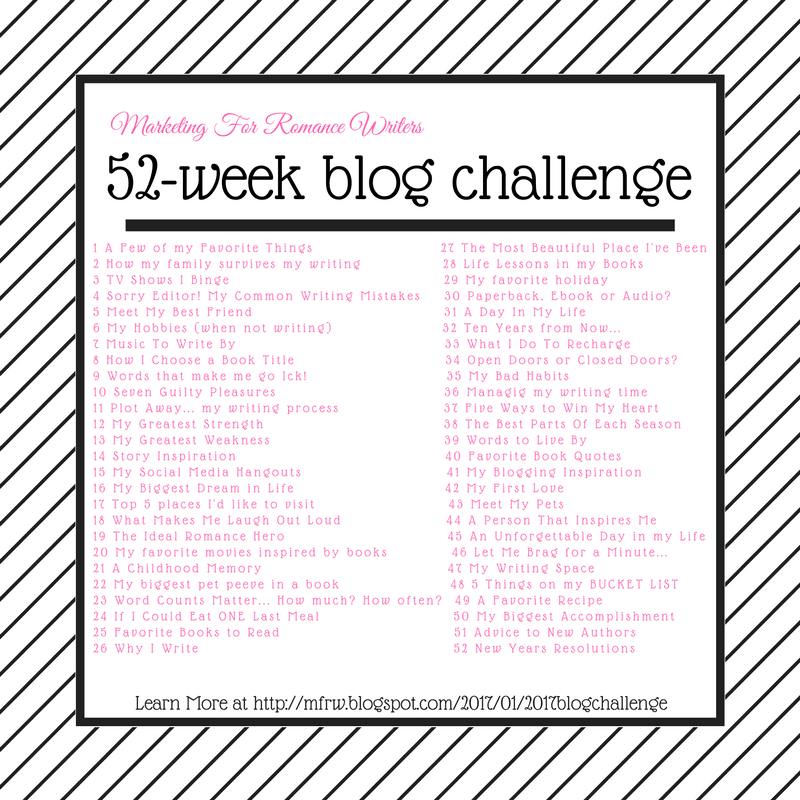 Hi, Ya’ll Welcome to the 52-week MFRW blog tour challenge week 18. This week’s topic is What Makes Me Laugh Out Loud. I don’t have a big sense of humor. It takes a lot to make me cry or laugh out loud. One thing that always drew laughs from me is Lucille Ball. I loved the I love Lucy Series and one of my favorite movies is The Long, Long Trailer. I too have an obsession with rocks and canning stuff so I related so much to that movie. My grandkids make me laugh out loud. Right now we have birds that visit the tree outside my dining room and taunt my cats. You heard that right. The BIRDS tease the cats not the other way around. We have a robin that comes each morning around ten and perches in the tree then flies into the window over and over. I dubbed it Crazy Bird. Some days the cats just sit and watch some days they hop up and down like they are trying to catch it. Some days they even tumble off the window. It’s pretty hilarious. Chloë sleeping on duty too. I read or listen to ebooks a lot too and sometimes those can bring forth a giggle too. Let’s go see what makes the other bloggers laugh out loud. Lucy is on a lot of the LOL blogs this week. I’ve never seen the video before. Loved it. LOL’d at Lucy cooking eggs. I bet the birds teasing the cats are fun to watch. The Lucy clip is from a full-length movie. If you ever want a good laugh, check it out. Ha, the part with her cooking eggs is priceless! Thanks for sharing. I also love Lucy and The Long Long Trailer. I very much love Ricky. So glad you have some teasing birds. Their antics with the squirrels are wonderful. Yay another long Long Trailer fan! I love the squirrels as well. We have some but they are on the other side of the house I don’t see them as often. When I move back to my office I will see them more. I Love Lucy. That show can still make me smile. And kids never fail, especially our own. I Love Lucy too. And kids always work pull out smiles, especially when they are our own.